In November of 2016, Donald Trump was elected President of the United States. As part of his larger “America First” plan, and with the appointment of Rick Perry as Secretary of Energy, it became clear that there would be some changes to energy policy from the previous Administration. It became clear very quickly that the Federal Energy Regulatory Commission (“FERC”) would be playing a crucial role. Already, FERC has been asked to decide whether to prioritize coal and nuclear energy over other types of renewables and even natural gas. An examination of FERC’s most recent actions regarding pipelines reveals the future of energy regulatory policy, at least during the Trump Administration. On November 23, 2015, Millennium Pipeline Company submitted a Joint Application for the Valley Lateral Project, a 7.8-mile-long pipeline. The company specifically sought a Water Quality Certificate, as required by Section 401 of the Clean Water Act. The DEC had a year to approve or deny the permit request. The Federal Energy Regulatory Commission already approved the project, but state approval by the New York Department of Environmental Conservation (“DEC”) was also required. Interestingly, Millennium had taken the DEC to the U.S. Court of Appeals for the District of Columbia Circuit in 2017. The Court dismissed the lawsuit but held that, if the DEC is truly denying the water permits, FERC can override the DEC anyway. Under New York law, a permit application can be denied for “failure to meet any of the standards or criteria under any statute or regulation pursuant to which it is sought.” FERC conducted an environmental review of the project, but based on the D.C. Circuit’s decision in Sierra Club, et. al. v. FERC, the review was deemed inadequate by the DEC. The DEC stated that FERC had failed to “consider or quantify” the effects of downstream greenhouse gases that would result from burning natural gas as required by the project. Thus, on August 30, 2017, the DEC denied Millennium’s application for the Valley Lateral Project. On October 16, 2017, the DEC asked FERC for a rehearing and stay of the order. DEC alleged that FERC erred in its finding that the DEC had waived its authority, and maintained that Millennium’s application was incomplete until August 31, 2016. While the DEC agreed with FERC that they could have told Millennium that the application was incomplete before August 31, 2016, that move would “unnecessarily limit the options for the Department and applicants when applications require additional information.” This petition has not been ruled on yet. Already, the FERC decision has sparked controversy. Roger Downs of the Sierra Club said soon after that “states unquestionably have the authority to rule whether a dirty, dangerous fracked gas pipeline violates clean water laws, and nowhere is FERC granted the right to override that authority.” This potentially signals a shift to an “even more aggressively pro-pipeline stance in the Trump era.” However, pipelines are not the sole focus of the Trump Administration, and it is becoming clear that Trump’s energy plan includes a prioritization of coal and nuclear power over natural gas or renewable energy sources. Perry accompanied his proposed rule with a letter to FERC, stating that “America’s greatness depends on a reliable, resilient electric grid.” In the letter, Perry states that a high number of coal and nuclear energy plants are set to be retired. Given the impacts of recent hurricanes, Perry argues, it is essential to reward the most stable sources of electricity. Perry’s recommendation was based on a study issued by the Department of Energy, dealing with the electricity grid and the administration’s priorities. The study showed that “nuclear and goal plants are being economically challenged by the low cost of natural gas.” The coal industry has applauded this new proposal and simultaneously urged FERC to act. FERC has yet to decide this issue. It remains to be seen whether the Trump Administration will continue to aggressively support coal and nuclear power or if they will remain favorable to the natural gas industry. 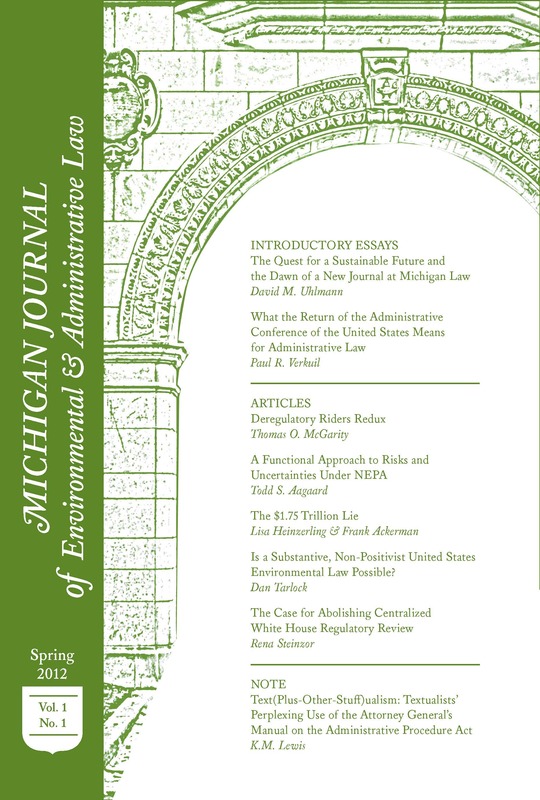 * Alexandra Noll is an Associate Editor on MJEAL. She can be reached at alexnoll@umich.edu. N.Y. State Dep’t of Envtl. Conservation, Notice of Decision – Valley Lateral Project (Aug. 30, 2017), http://www.dec.ny.gov/docs/permits_ej_operations_pdf/valleydecltr.pdf. Millennium Pipeline Co., 160 F.E.R.C. ¶ 61,065 (2017). James Nani, DEC Denies Permits for CPV Power Plant Pipeline, Times Herald-Record (Aug. 31, 2017, 10:30 AM), http://www.recordonline.com/news/20170831/dec-denies-permits-for-cpv-power-plant-pipeline. Showdown: Millennium Asks FERC for Permission to Ignore NY DEC, Marcellus Drilling News (July 26, 2017), http://marcellusdrilling.com/2017/07/showdown-millennium-asks-ferc-for-permission-to-ignore-ny-dec/. N.Y. State Dep’t of Envtl. Conservation, supra note 1. Charlie Passut, New York Asks FERC for Rehearing, Stay in Fight Over Millennium’s Valley Lateral, Natural Gas Intelligence (Oct. 16, 2017), http://www.naturalgasintel.com/articles/112109-new-york-asks-ferc-for-rehearing-stay-in-fight-over-millenniums-valley-lateral. Rebecca Kern, Millennium Pipeline Gets Federal Nod on New York Water Permit, Bloomberg BNA (Sept. 15, 2017), https://www.bna.com/millennium-pipeline-gets-n57982088000/. Dino Grandoni, FERC is Up and Running Again. That Means Trump Gets More of the Pipelines He Wants, The Washington Post: The Energy 202 (Sept. 19, 2017). John Siciliano, Rick Perry Urges FERC Protect Coal, Nuclear Power Plants, Washington Examiner (Sept. 29, 2017), http://www.washingtonexaminer.com/rick-perry-urges-ferc-protect-coal-nuclear-power-plants/article/2636085. Letter from Sec’y of Energy Rick Perry to the Fed. Energy Regulatory Comm’n (Sept. 28, 2017), https://energy.gov/sites/prod/files/2017/09/f37/Secretary%20Rick%20Perry%27s%20Letter%20to%20the%20Federal%20Energy%20Regulatory%20Commission.pdf. Steven Mufson, Bipartisan Group of Former FERC Commissioners Rejects Energy Secretary’s Bid to Help Coal Plants, The Washington Post (Oct. 19, 2017), https://www.washingtonpost.com/news/energy-environment/wp/2017/10/19/former-ferc-commissioners-reject-energy-secretary-perrys-bid-to-help-coal-plants/?utm_term=.db9bb8afde9c.